Window 8 is developed to catch the mobile computing Market share. So that Microsoft’s latest operating system has stylish modern design and Tiles metro User Interface. Microsoft’s Windows 8 developer preview have come us with an interface steeped in new Metro style — its tile-centric start screen is sleek, fresh, and downright pretty. 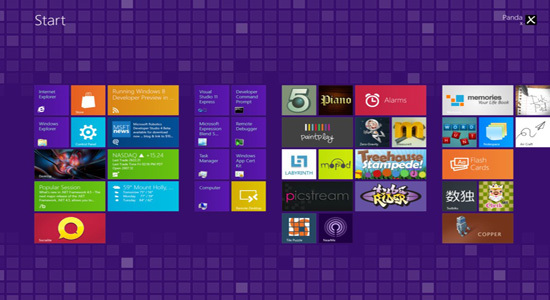 Now you can download the New Metro Style Windows 8 theme for free from developers at DA. Note :The uxtheme.dll.backup and shsxs.dll.backup in System32 are for the uninstaller, don’t delete them.